Tree progress continues. Yesterday I twisted up five more armatures for the forest in the Lynn Valley following directions in the tree books by Gordon Gravett. Here, the armatures are drying after their first coat of bark mixture. The twisted wire is apparent, but that will disappear under a couple more coats of goop. 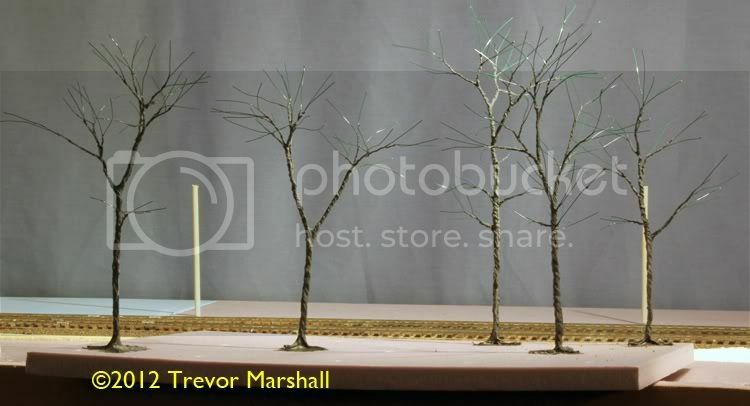 This entry was posted in scenery, trees by Trevor. Bookmark the permalink.